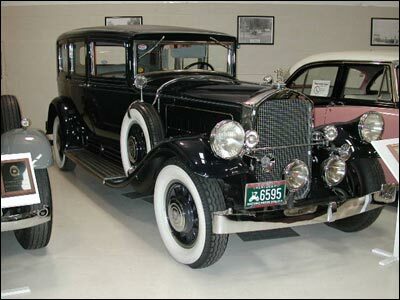 The name Pierce Arrow was one of the most recognized and respected names in the automobile industry. For 38 years the Pierce Arrow Motor Company of Buffalo, New York crafted some of the world’s finest automobiles. In their time, Pierce Arrows could be found anywhere the rich and famous worked and played. For twenty years, Pierce Arrow was the official White House Presidential car. The company also supplied cars to the royal families of Japan, Persia, Saudi Arabia, Greece, and Belgium. Scores of congressmen, ambassadors, governors, entertainers and corporate executives chose Pierce Arrows.